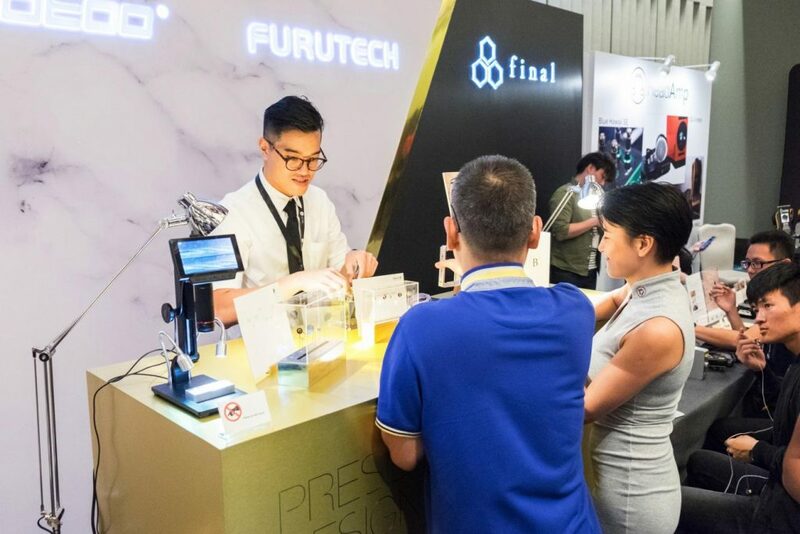 DITA Audio were one of the brands represented by Project Perfection, and their booth was definitely one of the most show-stopping at the event. I loved the marble aesthetic they went for, as well as the displays they had to show off the internals of both their IEMs and their cables. Darren of DITA Audio pointed me towards a microscope overlooking their OSLO cable. Through it, I was able to see the maze-like network of materials weaving in and out of each other. That plus the Made in Japan branding obviously spoke to the craftsmanship that goes into the cable; beyond any mere OEM job. Peering closer towards the hardware, DITA Audio’s sense of style is more obvious than ever. The 2-pin connectors and Y-split are some of the most gorgeous I’ve ever seen. I love the pointed, stinger-like ends of the connectors as they show an added level of precision. And, I assume this aids insertion as well. The aesthetic as a whole is gorgeously minimalistic. Perhaps, the Awesome Plug does look a bit bulkier beside them, but the sheer usefulness of it makes up for that wholly. 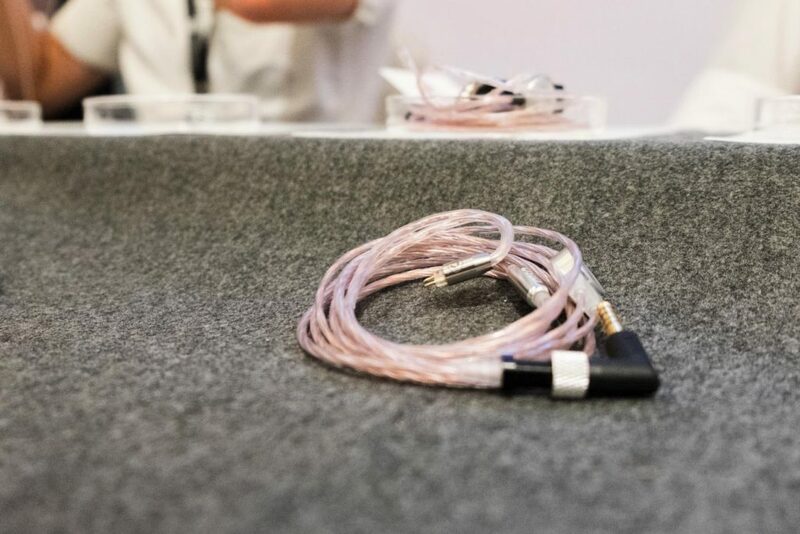 DITA Audio OSLO: The OSLO is a weighty, rich and decadent-sounding cable. Paired with my Empire Ears Phantom, the low-end is fuller, bolder and thicker, emanating more warmth toward the midrange. The treble has been smoothened and refined, though extended too. The stage is left open, stable and layered, but now permeated by a buttery warmth that binds everything together. 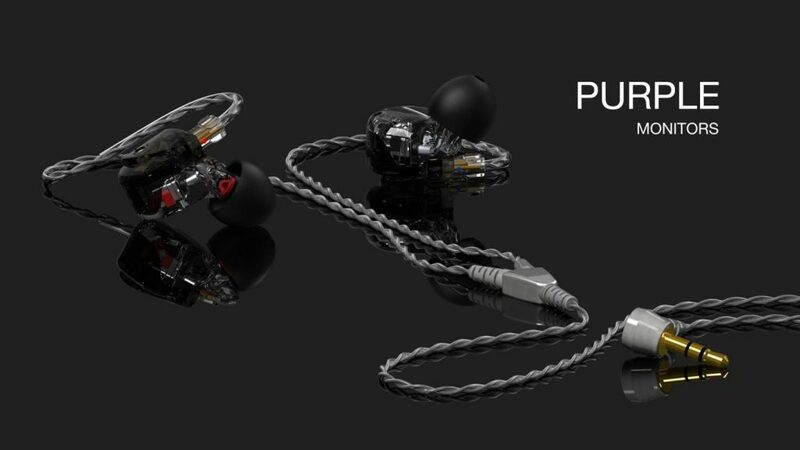 It’s a sophisticated analog sound that brings a rich, relaxing warmth to in-ears. But, because of its technical performance, it’s pretty versatile as well. As many have mentioned online, there is an odd tolerance issue between the OSLO’s 2-pin connectors and Empire Ears’ sockets. The pins won’t go all the way in. But, it made enough of a connection to function properly. And, the interchangeable Awesome Plug is as impressive as always. 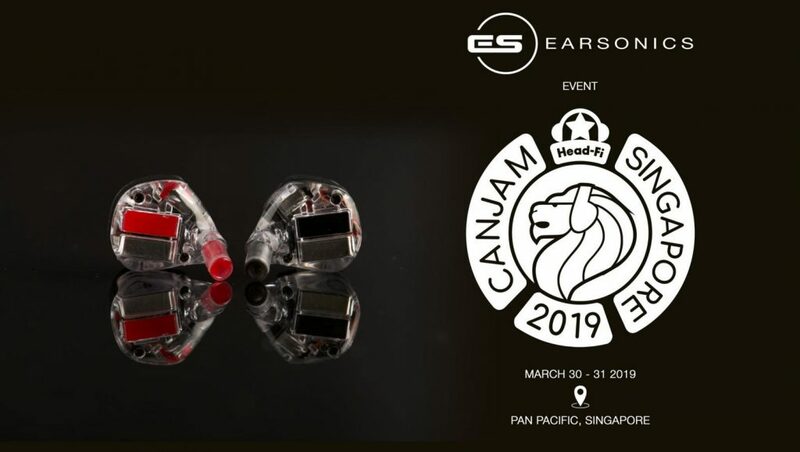 HUM was an exhibitor under the Zeppelin and Co. umbrella and they brought along their latest slew of in-ear monitors and portable amplifiers. I loved speaking to Travis and his team, who showed wonderful enthusiasm for their products and the show. Their flagship Dolores was there, the custom version of which I will review very soon. 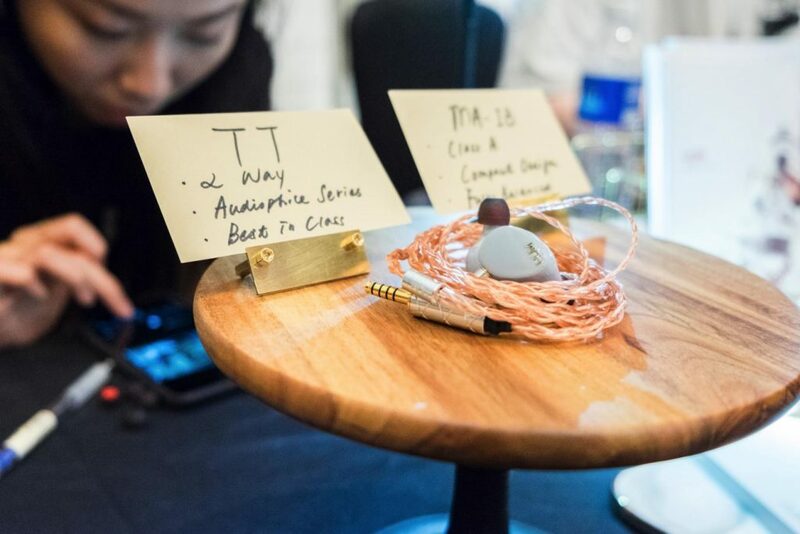 So, my sights were set on the more affordable TT – HUM’s first foray into what they call an audiophile signature. As a fan of their Hypno portable amp, I also gave their MA-1B a go, which featured a fully balanced design and both 2.5mm and 4.4mm outputs. HUM TT: The HUM TT possesses an exciting, vibrant sound bolstered by a well-structured midrange. The top-end carries the same character as the Dolores: Bright and tizzy in tone, but smoothened in articulation. It’s almost a clear-but-blunt treble, rather than a crisp, bite-y one. The low-end is a particular high point. There’s a real physicality to the mid-bass that comes from excellent rhythm, linearity and extension. Resolution and texture down low are impressive as well. The midrange possesses strong projection. Horns hit hard, and so do snare drums. And, great treble extension creates sufficient headroom to contain it all. It’s a fun and impactful monitor that’ll supersede its competitors in coherence, timing and extension. I suspect it’ll be a big hit among the mainstream, as long as treble bite isn’t a number-one priority. HUM MA-1B: The MA-1B is HUM’s balanced amplifier, which accepts and outputs in a 4.4mm TRRRS standard. To my ears, it noticeably improves the top-end to have slightly more bite and authority. That added clarity also improves low-end definition. In terms of staging and headroom, I think my K-modded WM1A performs just as capably. In fact, the MA-1B exchanges some headroom for some extra punch. 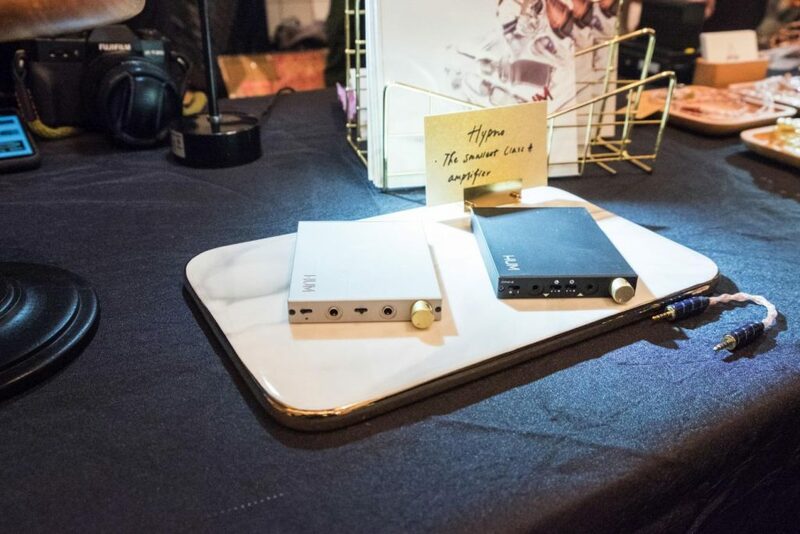 So, if you already have the TT and you want a dose of treble bite and energy, then the MA-1B (at its footprint and price, especially) is worth considering as a light, portable amplifier. The second Zeppelin and Co. exhibitor I paid a visit to were French superstars EarSonics. I recently reviewed their EM64 custom in-ears, which I found wonderfully engaging and technically-strong. This time, I spent a considerable amount of time auditioning their latest universal effort: The Purple. The Purple features three selectable signatures via a tuning knob on the monitor’s faceplates. These were labelled Tight, Standard and Warm. Now, in my demoing rigour, I did forget to take photos of the in-ears, as well as their booth. So, I hope promotional images from EarSonics’ website will suffice. EarSonics Purple: The Purple’s Tight setting posits outstanding definition, detail retrieval and spatial performance. The soundscape is remarkably transparent. But at the same time, it’s all delivered effortlessly and coherently. There aren’t any egregious treble peaks or unnatural dips – everything sounds seamlessly joined. Listening to tracks like Royce da 5’9”’s Caterpillar or God Speed, the high-pitched whines and whooshes at the very back of the mix come through with stunning clarity. But, this is accompanied by depth and holography too. No detail is ever forced; simply highlighted. The midrange and treble sit evenly with each other, with a couple key peaks for clarity and articulation. The bass sits further back, but high extension yields great impact regardless. Hits feel tight and compact, with sufficient physicality for all genres of music. The bias towards the treble does leave its tone squarely neutral-bright, though. Stereo separation, imaging precision and holography are all stunning. The entire image feels cohesively put together; tirelessly rehearsed. As I touched upon in my EM64 review, every instrument sounds like they start and stop at the very same time. It’s a stunning achievement, and I can see the Purple becoming a favourite for analysts and pros, in this setting especially. With Standard, there seems to be a touch less treble bite. It’s a more linear signature that sits more towards neutral in tone. I’d probably call it a more forgiving variant of Tight, whilst retaining most of its technical faculties. Stage expansion isn’t perhaps as holographic as the layers (depth-wise, especially) are spaced closer together. Regardless, I think it’s a great alternative for professionals who want the precision and definition of the Tight setting with less fatigue and bite. Warm seems to bring the upper-mids forward, along with the bass. There’s far more liveliness and intimacy with this setting, but I wouldn’t say it’s warmer or fuller in any way. Overall tone remains neutral, because the low-end is more sub-bass-driven than mid-bass. The previously vast stage is now more filled with larger, closer instruments. This is a setting that’s more musical, more fun to listen to and more akin to the EM64. Again, I wouldn’t call this signature warm by any means, but it does make for an excellent all-rounder – shades of Tight’s technical prowess with a dose of fun.